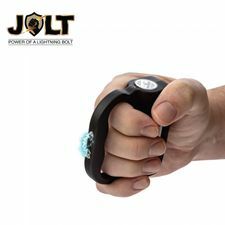 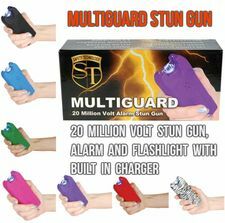 The new and improved 10,000,000 volt Multipurpose Stun Alarm Flashlight is rechargeable and has led bulbs in the flashlight. 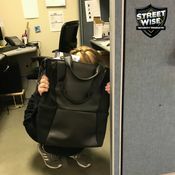 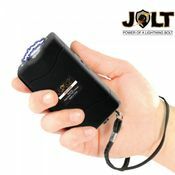 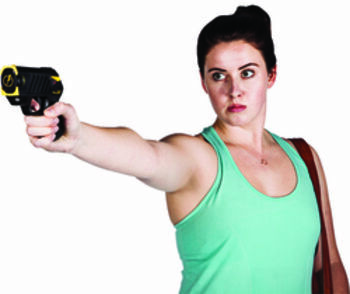 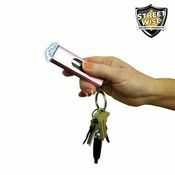 It features a stun gun function, 150 db alarm with steady red light, bright led flash light, led red flash light, led red flashing light for signaling, and shoulder strap. 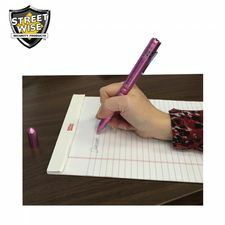 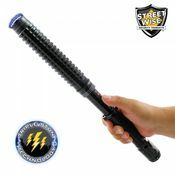 This is a great item for police, security, and for self defense. 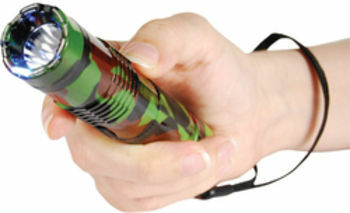 Length 15.5", flashlight 2.75", handle 1.5"